Renew. I was so excited when God laid this word on my heart for 2016. Last year's word, refine, was so hard. But renew? Sure, I could do that. 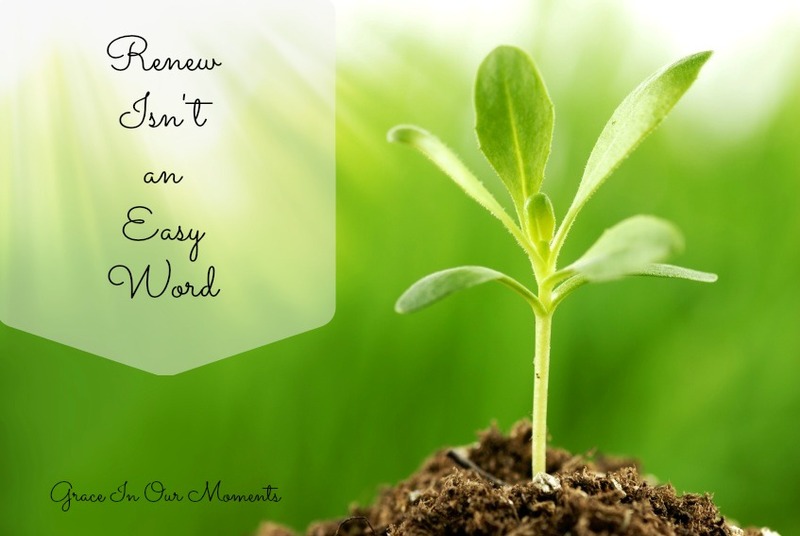 Renew is a comfortable word, right? Renewal is hard. It's leaving me on my face, begging for grace and mercy and strength. Being made new means dying first. It's painful and scary. 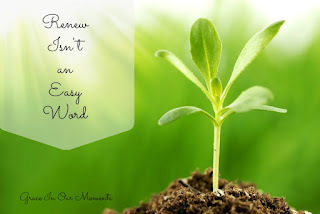 Being renewed is going to take slow, focused time - time with God to renew me spiritually, time working out to renew my body, time resting to renew my exhausted body and mind. I think slow and focus would be perfect complimentary words for the year. God is calling me to slow down. Not to take things off my plate - this isn't about busyness. This is about intention, about taking time in the midst of chaos to focus on what really matters. It's about finding peace in the middle of the storm and hearing the voice of God in the midst of the noise. That means daily time with God, taking my spare time back to read or pray or study Scriptures (instead of playing Candy Crush Soda Saga or checking Facebook), and finding routines, patterns, and practices that bring my focus back to God. A few days ago, I read the perfect words in Jesus Calling: "Through the intimancy of our relationship, you are being transformed from the inside out." That's true renewal - changed from the inside out, giving God control of every aspect of who I am. As I look ahead this week to my Lent Bible study, I feel like the last few weeks have been preparing me for this time. Lent is about remembering the cross and the price Christ paid to set us free. It's a time of reflection. It's a time to remember that we have to die to truly live - we must die to ourselves to find life in Christ. Renew isn't an easy word, but it's my prayer this year: Jesus, help me die to myself so I can made new in You.